A pretty holiday pillow is an easy way to decorate a room. 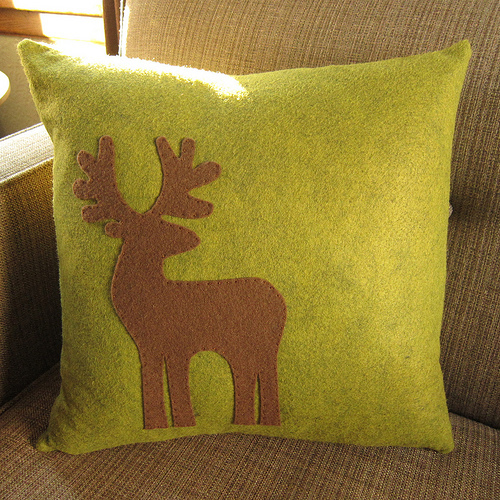 This appliqué reindeer is made with felt so the edges won’t have to be turned. Just Crafty Enough gives us the tutorial and template for the reindeer. Thanks for the link! Glad you enjoy my little reindeer pillow.